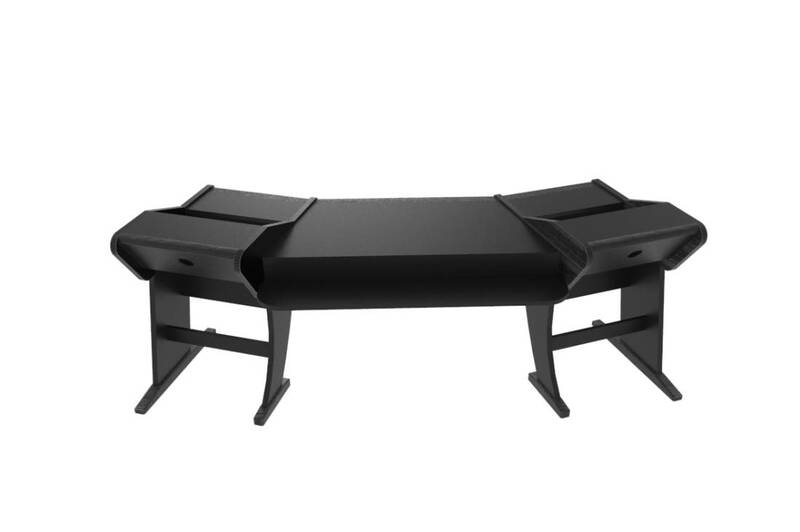 Styled in a black or cherry finish, the Onga from Zaor is a studio desk for pro audio work. Its dual 6 RU rack bays have been angled at 18 degrees to provide a trapeze-shaped work surface - a configuration useful for accessing your housed rackmount units, as well as for angling studio speakers to achieve the desired equilateral triangle setup for effective studio monitoring. The desk features a rear platform that's lower than the main surface for the placement of your computer's display, thereby putting the screen on a plane of vision more attuned to your sitting position. 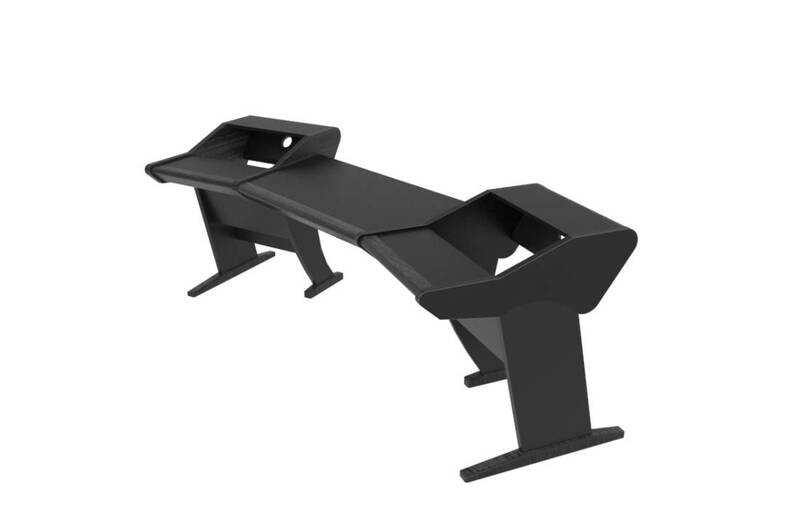 Cable passages have been built into the desk to reduce the appearance of clutter. 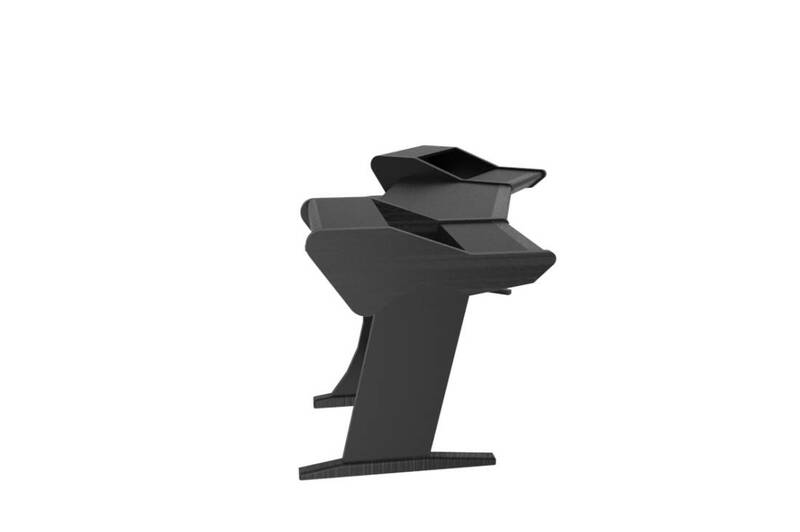 The Onga is both sturdy and easily disassembled, providing a studio-desk setup that you can take with you should you ever need to change locations.